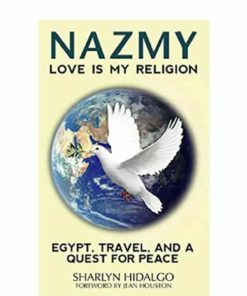 This book is a life-transforming treasure map for Love, Success and Happiness. You’ll learn how to Be A Genie, and follow the easy steps and keys to creating your heart’s desire with your partner, the Universe. 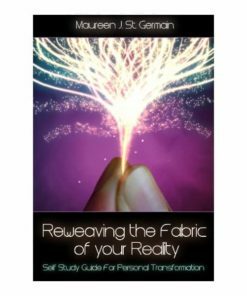 The simple five-step Genie System is based on solid science, quantum physics and secrets of sacred geometry, along with practical tools to help you realize your life dreams and goals. 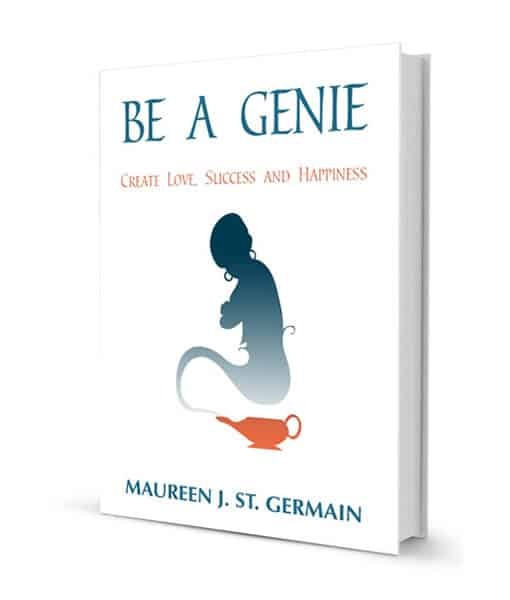 Originally offered in 1994 in manuscript form as You are the Genie in the Bottle, Maureen is re-releasing this completely updated version for audiences worldwide! Get the AroMandalas® Book & Blend Package – the Complete Experience! Simply choose the Book & Blend Package below to receive 10% off both! You are holding the keys to conscious creation. The first step is to allow yourself to hold your desired dream equally believable with your current life situation in your thoughts. Maureen takes you through the steps of identifying your present circumstance, clarifying your heart’s desire, dealing with your own and other people’s doubts, energizing your desired outcome, and creating and sustaining your mind’s visualization, your movie-of-the-mind. Join Genie Maureen St. Germain and journey into the quantum “soup” of all possibilities. Maureen shows you how to turn your dreams into reality and then gives you the logical, left-brained proof of the malleability of our Universe. Practice with her tools and find yourself enthralled at the easy-to-understand information about the ancient secrets of sacred geometry, concluding with revealing facts from the frontier sciences of quantum mechanics and chaos theory, and you can Be A Genie. How would you like to create your heart’s desire, and actually live the life you dream about? The Universe is waiting for you to do your part! 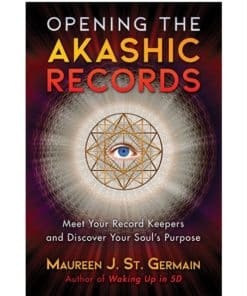 In this book, Maureen St. Germain provides you with the keys to conscious co-creation with the Universe. Maureen takes you through five specific steps that will allow you to manifest your heart’s desires. The Genie System is simple, straightforward and easy to understand and apply. Once you learn the techniques and start to apply them to your manifestations, you will begin creating in harmony with the Universe. Your life will appear to be magical because you will be in synchronicity with the natural rhythms of the Universe. The Genie System is based on solid science using quantum physics and sacred geometry, along with practical tools to assist you in meeting your life dreams and goals. 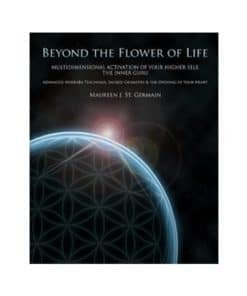 This book will teach you the easy-to-understand secrets of Sacred Geometry that will enable you to utilize manifestation with the natural laws of the Universe. Be A Genie is your treasure map to manifesting your heart’s desire! In Part I of this book, The Practices, you will learn how to use the Genie System for manifestation. Maureen’s innovative step-by-step practices will help you clarify, and achieve, your dreams and goals. You will soon discover that you are the creator of your reality because The Practices will help you to produce tangible results. Part II, The Principles & Proofs, presents the basic scientific foundation of manifestation, and supports the important underlying mathematical and scientific principles of all creation. Rather than having you rely on faith that her method is effective, Maureen shows you the logical, left-brained proof of the malleability of our Universe. 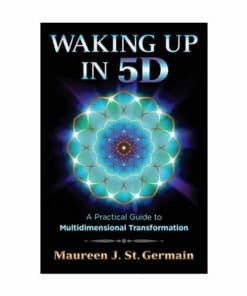 Beginning with the ancient study of sacred geometry, and concluding with data from the frontier sciences of quantum mechanics and chaos theory, Maureen takes you on a journey into the quantum “soup” of all possibilities. Once you understand Maureen’s secret principles of sacred geometry, and apply them using the tools and practices provided, you will discover a world of manifestation awaits you. Fully integrating this knowledge and applying the treasure map’s guidance will lead to you to the realization that you, too, can Be A Genie! Super fast shipping and book arrived in pristine condition!